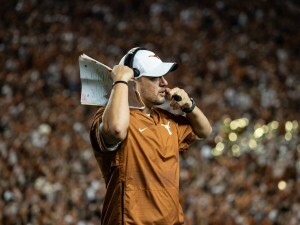 Although only one fax was sent to the Texas football facilities today, NSD2 still marked the end of a successful class of 2019 for Longhorns head coach Tom Herman. Texas’ remaining target in the class, North Forest OL Javonne Shepherd, signed with Texas today after committing during the Summer (Members). Our Eric Nahlin was there when he made the call. Though he couldn’t publicly comment on them, Herman picked up over ten preferred walk-ons to add to the roster. The list can be found here (Members). Finally, Tom Herman capped the day with his NSD2 press conference. Updates from that press conference can be found here (Members).